Text of remarks made by Michael Portillo at the Longborough Festival Opera, Friday 2 July 1999. "Then there’s Mime, the whining and potentially murderous dwarf. Well, the Tory party abounds with people who could take that role." "A friend of mine once put it to me that for the Conservative Party the issue of Europe has been like the Curse of the Ring. 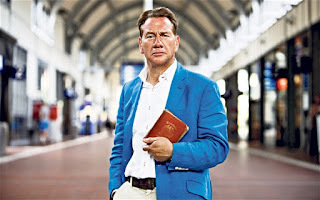 Since long ago, when we were first seduced by the Rhine maidens of Euro federalism, every Tory leader who has possessed the ring ­ that is who has held power - has come to a sticky end"
I’ve made a number of unwise speeches in my time, but this one probably takes the biscuit. In my experience, few audiences are less tolerant of error, or more fanatical about precise detail, than Wagner fans. To speak about the Great Genius, is to enter the lions’ den. I thought, therefore, that I had better speak mainly about politics. Some of you may know that I used to be in that line myself once. 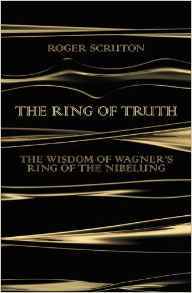 New Book: Roger Scruton "The Ring of Truth: The Wisdom of Wagner's Ring of the Nibelung"
"I suddenly realized I was on the other side. What I saw was an unruly mob of self-indulgent middle-class hooligans. When I asked my friends what they wanted, what were they trying to achieve, all I got back was this ludicrous Marxist gobbledegook. I was disgusted by it, and thought there must be a way back to the defence of western civilization against these things. That's when I became a conservative. I knew I wanted to conserve things rather than pull them down."